rk post is an artist who has been doing art for the game since 1998 when Exodus was released in June. He had two cards in the set, a common and an uncommon. Shortly after that, his art for Archangel (a rare) appeared in Portal: Second Age. He got much more involved in the Urza block with and with Starter 1999 edition (all three Portal sets and the two Starter sets were designed to get players into the game as a Standard Level compared to core sets being Advanced Level and block sets being Expert Level). Recently, he has done art for the planechase sets. Most recently, we have his art for Burning Earth and Coral Merfolk (printed in M14) as the only current art printed in Standard. 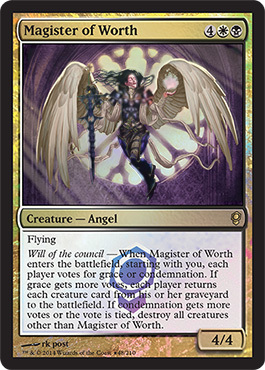 Soon, though, his art for Magister of Worth (or at least the promo version) will be released in Conspiracy. For rk post's wallpaper, I decided to go with a card that won't show up in the Gatherer database. 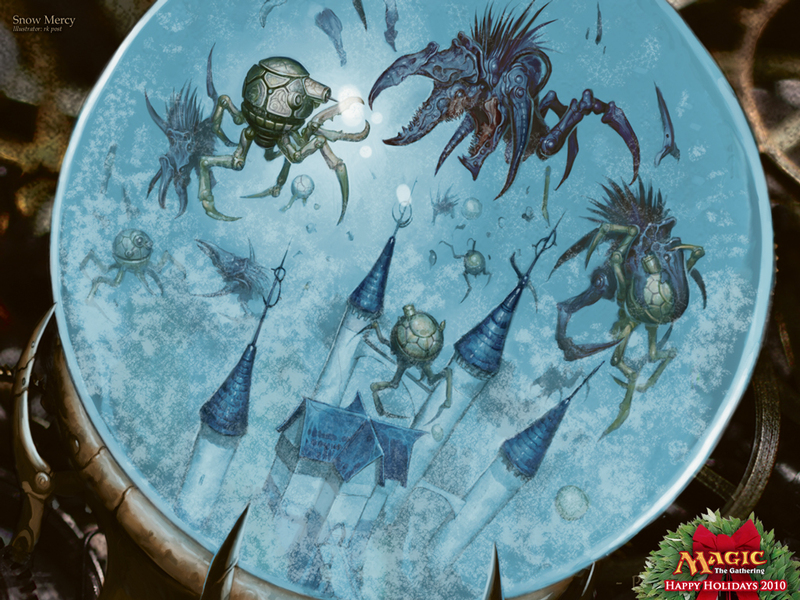 Here is the art he did for the 2010 Holiday card "Snow Mercy." As with all previous "Artist of the Week" posts, click the image to be taken to the Wizards wallpaper download page for Snow Mercy. You can find rk post on Twitter, Facebook, and on his Website. Monday Morning MTG also has Twitter. Have a favorite artist you want featured here? Send us an email at MTG@mondaymorningmtg.com!